Reebok Classic has teamed up with lifestyle designer and streetstyle favorite, Melody Ehsani for another capsule collection. 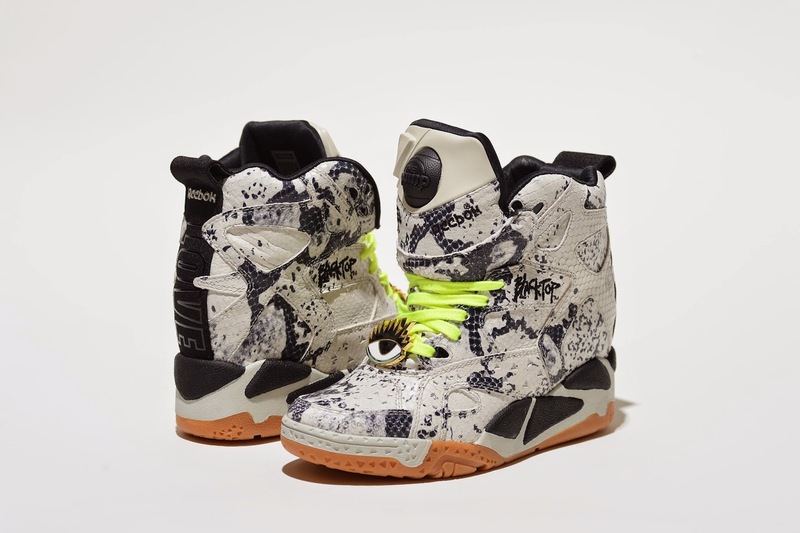 Released April 24th on the designer's website and May 1st on Reebok.com and other select global retailers, the limited-edition two-style pack features python-print uppers, gum soles and Ehsani's signature take on the "Evil Eye." Each style also comes with three sets of laces: black, tennis ball green and python print. For those who prefer to keep things on the low, there's the Ventilator ($120). The retro running style celebrates its 25th birthday this year, and this version pays homage to its history while giving it a modern update. My personal favorite of the two is the Blacktop Wedge Pump ($200). Yes, I've read the reports that the sneaker wedge is on its way out, but I subscribe to the more open-minded ones that suggest most fashion rules are "so over." It's a new take on a throwback style I loved as a child, plus it has the word "love" embroidered down its back. I'm all about spreading love, so I am here for it. What about you? Do you heart these kicks the way I do? Which is your favorite?